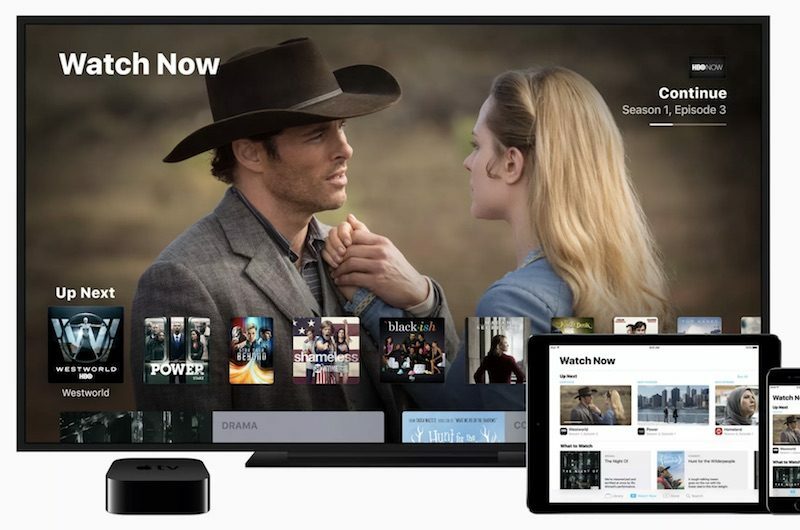 Apple is planning to launch its rumored streaming television service in April or May, but some cable content providers won't be participating, reports CNBC. Recent rumors have suggested that along with Apple's own original content, which will be provided to Apple users for free, the service will allow Apple customers to subscribe to additional add-on subscription services on top of Apple's own offering. Customers will be able to sign up for existing digital services like Showtime and watch that content within the TV app, so long as those services are partnered with Apple. Starz, Showtime, and Viacom are all expected to offer subscription streaming services through Apple's platform, though, and HBO may also join up if the disagreements can be settled. It's not like subscriptions are some new concept. Cable TV has been around for decades. It's contracts that people don't like. I'm fine with subscribing to tons of things as long as I can give that service the finger any time I'm displeased. I agree, I hate subscriptions, but I suspect that we are the minority. Apple believes that subscriptions are the answer to less dependence on hardware and bringing more people into the ecosystem to even out revenues. Interesting that Apple wants a 30% cut from the ecosystem - which already has or is moving towards a well established distribution systems : widely available on Apple and non-Apple ecosystems. So what is Apple’s angle in demanding this higher cut? Are they planning to block content creator apps and Safari from accessing their own independent competing subscription services? *Cheap people or freeloaders hate subscriptions. We pay up the wazoo for their mediocre hardware, and now they want MORE???? BTW the picture of Cook on CNBC's front page looks like he's praying this one's gonna work for him. This announcement seems kind of boring if this is all there is. Announcing something like DirecTV Now where you can get a bunch of actual channels w/ a guide & DVR, etc.. w/o the bugs of DTN would make for a good announcement. Just allowing access to the same stuff they already have through the TV app is not really news. We've seen the writing on the wall for this for a couple years. The question is what content is Apple going to have ready to go on launch? If it's Apple's own content only, than there might be an issue of just not enough content to warrant a subscription. Netflix, Hulu, Prime, don't do well because they only have exclusive content. they do well because they have exclusive content and millions of other of hours of programming to watch. full seasons of our favourite shows. Full movies. Etc. What will Apple's service look like? how much will it cost? And how much ancilliary content will they offer. unlike when iTunes started to provide TV and Movies to download, there are already streaming services well established today. Those streaming services have a lot of contracts for content.Will Apple be able to get involved this late and have enough content outside of their own.